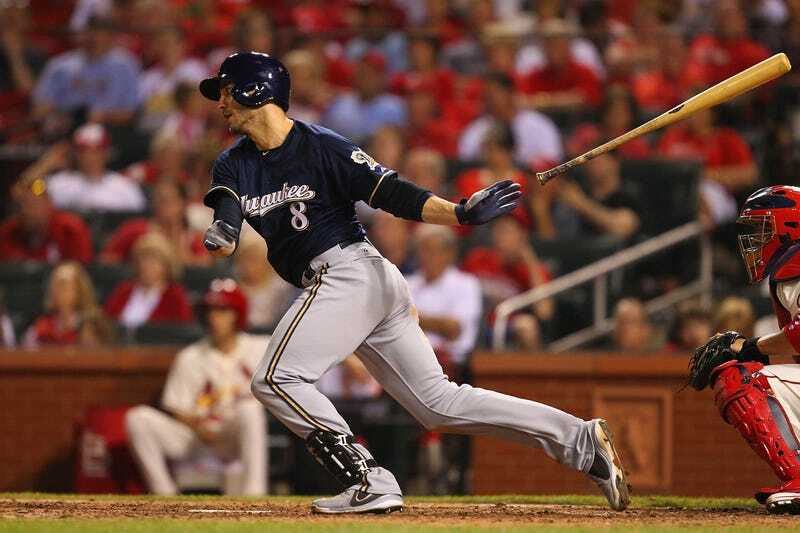 According to Bob Nightengale of USA Today Sports, Ryan Braun will apologize publicly at some point in the near future for his use of PEDs in 2011 and the lying that followed. An anonymous source told Nightengale that Braun doesn't want to be associated with Alex Rodriguez; it probably didn't help when 60 Minutes reported Friday that someone in Rodriguez's "inner circle" gave Braun's name by leaking the Biogenesis documents to Yahoo Sports. Braun will ride this PR cycle until he's a thousand miles from A-Rod. It's funny that Braun's plans surfaced after he was connected in a report with Rodriguez. PED use is frowned upon, but your Q score can be saved if you sound remorseful enough and maybe cry later on. Being affiliated with Alex Rodriguez, however, requires immediate image repair. At this point, A-Rod is worse PR for you than drugs.